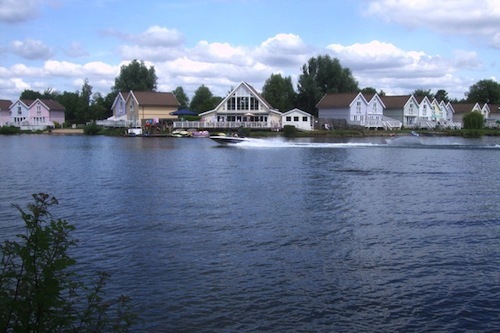 At 40 square miles, the Cotswold Water Park is approximately the same size as the Island of Jersey. It lies to the south of Cirencester in the Upper Thames Valley, and contains rich sand and gravel deposits. These have been worked for 50 years to create 140 lakes. They now form the largest man-made lake complex in Britain – some 50 per cent larger than the Norfolk Broads and stretching as far east as Lechlade. Beneath the gravel lies Oxford Clay of the Jurassic Age, from which spectacular fossil finds have been recovered.